These platinum-iridium cylinders are kilogram masses, which are used to help to ensure fair and accurate trade. With International Firefighters’ Day behind us and World Turtle Day looming, you might not think you’ve got time for another international day in May. But don’t skip World Metrology Day, which is observed on May 20 every year—the anniversary of the signing of the Treaty of the Meter in 1875. Because measurements matter. Without accurate measurements, you can’t be confident you’re getting what you pay for at the grocery store, taking the right dose of medicine or crossing a well-constructed—and safe—bridge. Metrology—the science of measurement—touches on many areas of your life, whether you realize it or not. Take just one example: transportation. Without the ability to make very precise measurements, you wouldn’t be able to get where you’re going as safely and efficiently as you do. Read on to find out exactly how measurements help you get from point A to point B every day! Metrologists in NIST’s Office of Weights and Measures help make sure you’re getting what you pay for at the gas station. While they aren’t out in the field testing pumps NIST does train many of the weights and measures inspectors who work in your state to properly calibrate pumps. (We’ve got a directory for them if you need to report an issue.) That means an even playing field for sellers in competition with one another and a fairer market for you—the consumer. NIST’s Elizabeth Gentry explains how accurate calibrations help weights and measures inspectors ensure you get what you pay for at the pump. A standard steel sample pulled to its breaking point. The changing colors indicate the increasing strain on the piece of metal. Measurements like these are useful for developing new automotive materials. You want to get where you’re going—and you want to do it safely and as cheaply as possible. Automakers know that, which is why they’re always innovating, trying to make cars that are lighter, faster and more fuel efficient. To test a new car design using a less well-understood material—such as aluminum, magnesium or carbon fiber composite—dies for different components might need to be tested and reworked more than a hundred times. Each die set costs about $1 million and can delay production by weeks, if not months. But, a little NIST metrology can lead to a better understanding of these materials, reducing costs and delays, and passing savings and benefits on to you. But the future of cars isn’t just lighter, faster and more fuel efficient—it’s also smarter. Today, cars connect directly to the internet—for example, to help you navigate or to send data back to the manufacturer for diagnostics—and you can also connect your smartphone and vehicle to help you communicate, navigate or listen to music while you’re on the road. And capabilities like these are just a stepping stone to even smarter, and more connected, vehicles. But while being connected brings a lot of benefits, it also introduces vulnerabilities. To get ahead of the potential security threats posed by this ecosystem of connected devices—known as the Internet of Things—NIST researchers are working on ways to keep your connected devices secure. Airplanes go through a lot of tests to make sure they’re fit for flight. And while it’s pretty fun to see how far a wing will bend before it snaps, all this testing can get expensive. That’s why NIST researchers are working to help airplane manufacturers improve their test simulations. With simulations, engineers get a better sense of how materials will behave before forking over the dough to make and test a prototype. Materials metrology is doing double duty at the airport: keeping you safe in the air and saving you money on your plane ticket. 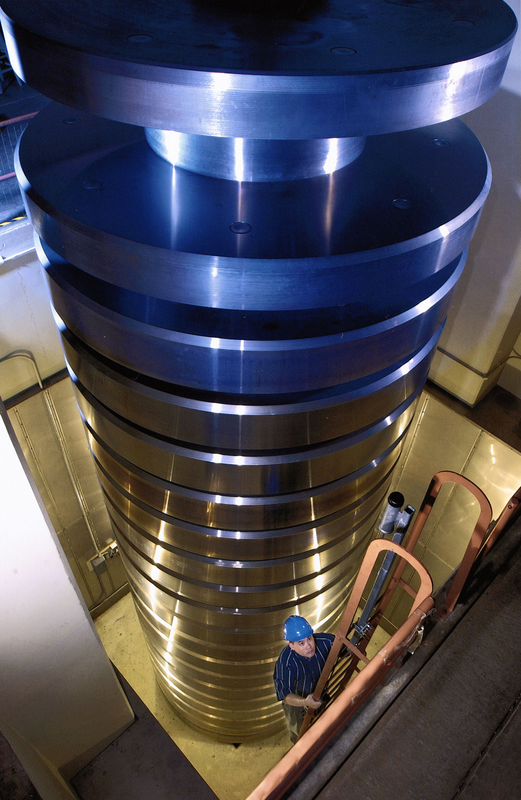 The world’s largest force measurement instrument—the million pound (or 4.45 meganewton) deadweight machine—lives at NIST. It calibrates other labs’ instruments that are used to measure forces of everything from the thrusts of large rockets to the deflection of airplane wings. NIST is pretty good at measuring static forces— like the amount of stress an airplane wing can withstand or the tension on a bridge cable. On the other hand, measuring dynamic forces (think a car crash or a collision of football players’ heads) has long been a bit tricky. But we’re getting better at it. A team of NIST researchers is working on devices to help manufacturers and other testing labs better understand the impact of forces on their products. For example, it helps automakers perform more accurate measurements of the forces acting on a crash test dummy in an auto safety test. The end result is safer products, from cars to bicycle helmets. To build safe bridges and other infrastructure, you have to be able to know the breaking strength of your materials. The Charpy impact test is one of the most common ways to test the strength of metals. Manufacturers buy Charpy V-Notch Verification Specimens—small metal bars—from NIST. To test the samples, they hit them with a large swinging pendulum and record the energy required to break them. If the manufacturers get certain results from their test, then they know they’ve done the test properly and that their instruments are giving them the right answers. Then, when they test their own materials, they can be confident in their results. NIST also sells many other Standard Reference Materials that help members of industry test their products for quality, such as cement. 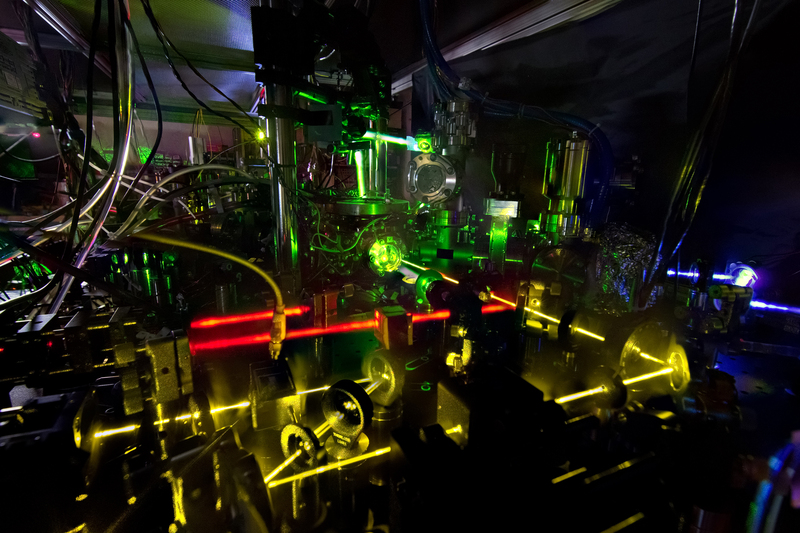 A next-generation optical clock that uses ytterbium atoms to keep time. NIST has atomic clocks so accurate that if you could set them running back at the Big Bang (13.7 billion years ago), they’d still show the correct time today. The NIST F-2, on which our legal standard of time is based, wouldn’t gain or lose a second in 300 million years. By comparison, your fancy quartz watch gains or loses a second every month. But, why do we need to be able to measure time so accurately? Because without such a persnickety definition of time, we wouldn’t be able to navigate so easily using global positioning systems (GPS). Accurate navigation requires precision timing synchronization to about 1 billionth of a second per day. One nanosecond equals about 30 centimeters. So if the time is off by even a little, you might miss your turn! Count ‘em: That’s seven reasons to celebrate this World Metrology Day. Have any others? Post them in the comments! One Statistical Paradigm to Rule Them All? Thank you for posting these news letters. It helps me keep abreast with what interests me and fascinates me with new ideas. Sign up for e-mail alerts from the Taking Measure blog by entering your e-mail address in the box below. Taking Measure is the official blog of the National Institute of Standards and Technology (NIST). It provides a behind-the-scenes look at NIST’s research and programs, covering a broad range of science and technology areas. Through this blog, NIST’s researchers and staff will share why they do what they do and how today’s research will lead to tomorrow’s innovations. If you have any questions about our blog, please contact us at takingmeasure@nist.gov.